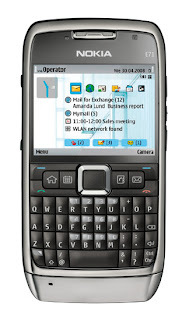 When it was time to select a phone for my new job, I selected th E71 from Nokia. Not that I liked it best, it's just that testing using different devices are a good thing and now I have three different devices. When my first reaction on the UI on the Sony Ericsson i770 was that I liked it and understood it, my reaction to the Nokia was next to horror. How was I supposed to stand this ugly, unintuitive UI? Well, I'm getting used to it. But now it comes to syncing with my PC and hey, they are using PC Suite. Sweet. At last someone has done some thinking and they're using the same software. You wish. Sony Ericsson uses Sony Ericsson PC Suite (currently version 4.0) and Nokia uses Nokia PC Suite (version 7.1). So, now I'm installing yet another instance of the software from hell. And now I have to quit. Yes, this is Windows Vista but you have to restart your computer to continue. So, to be continued. Because there is a good chance there is a second part of this story.